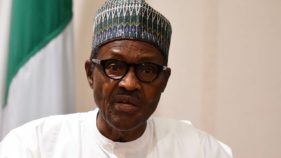 President Muhammadu Buhari has congratulated veteran journalist and renowned Public Relations expert, Oluwole Falodun, who turned 75 years today. 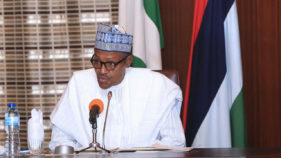 Buhari, in a statement signed by his Special Adviser on Media and Publicity, Femi Adesina, joined the media industry, and friends of the ace broadcaster, print journalist, later turned Public Relations consultant in celebrating the milestone heralded by many years of lofty achievements in investigative reporting and seminal articles. Buhari commended Falodun’s courage in sustaining his passion and vision of pursuing a most rewarding career in journalism, in spite of the odds of visual impairment along the way, in demonstrating that the will to succeed would always overcome any obstacle. 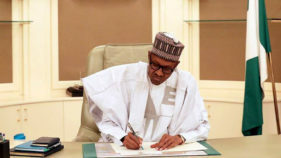 The state read, “As Falodun turns 75 years, President Buhari believes the veteran journalist has a lot of experience to share with upcoming ones on the virtues of discipline, accuracy, balance and speed, which over the years, have become the hallmark of a good journalist.